Do you work privately? Have you considered working privately? If you are a qualified, licensed occupational therapist and are working privately or considering doing so, please email me to join an online / virtual Private Practitioners Group / Forum. - network with fellow OT's working privately or considering doing so. - refer to O.T's better suited for a client or to gain referrals from them. - maintain / gain motivation to become successful working privately. Come and learn the benefits of owning and managing your own private O.T. Practice. Why online? 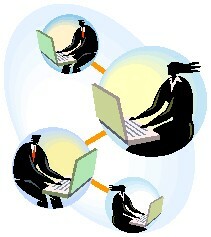 For those O.T's living in Israel, having a regular online forum enables O.T's throughout Israel to join and participate. In addition, any O.T. in another part of the world can join us too, thus adding the benefit of gaining and sharing progress, developments etc of our profession from an international mix of therapists. In addition, any therapist considering moving to Israel and join prior to making Aliyah and already begin to make contacts within the profession. If you have comments, thoughts or ideas, please email or send a comment on this blog.